Korea is constantly coming up with new ways to get moisture on your face and trap keep it there. First there were the OG microfiber sheet masks. Then came the hydrogel masks, which were some super next-gen stuff. But if those methods of moisture locking aren’t cutting it for you, or maybe you’ve always secretly dreamed of parading around your bedroom looking like C-3PO, hold onto your hats, because foil sheet masks are trending en masse. Like many viral beauty trends that came before, foil sheet masks were inspired by a DIY hack that made a big splash in the online beauty community. The DIY hack that spawned this particular trend, however, can most likely only be found on Naver, which is to Korea what Google is to the U.S. The main point of sheet masks is to essentially force-feed your face moisture by locking it in with a physical barrier while it’s absorbed by the skin. Now, if you’re as moisture-obsessed as we are maybe you’ve at one point wondered: what will lock the moisture into my sheet mask? Is there no barrier to protect the barrier?! Aluminum foil is the Korean solution to this problem. Some skincare guru, somewhere in Korea, realized that if you line the outside of your sheet mask with foil it will prevent the liquid and skin-benefitting ingredients from evaporating, and keep your mask as moist as when it was first removed from its package, for the duration of your mask sesh. Finally, a mask for your mask! If you want to go to the DIY route, simply tear off a sheet of aluminum foil a bit larger than your face. Next, cut out that familiar sheet mask sized egg shape you know and love and cut out openings for your eyes, nose, and mouth. Apply the foil on top of your sheet mask, terrify your roommate / cat / significant other, and proceed as usual! If arts and crafts aren’t your thing, we’ve still got you covered! This trend inspired a whole slew of foil backed masks that span a variety of price points. The foil sheet masks you can purchase aren’t anything like the aluminum foil tucked away in your kitchen cabinet, but more like the insulated inside of a pizza delivery bag. You know, the kind that get’s your Dominos to your front door piping hot, even though you know it’s straight from the car, not the oven. To test drive the foil masking trend, we went ahead and tried the Skinfood Royal Honey Propolis Foil Shield Mask Sheet. For those of you familiar with the trendy Estee Lauder Advanced Night Repair Concentrated Recovery PowerFoil Mask, you can think of this as a more budget friendly option. Here’s what we found. These masks are not, in fact, the solid sheet of foil that they appear to be. The foil is on the outside of the mask, and the inner side that touches your face is made of a soft cotton-like material. Like traditional sheet masks, these masks are soaked in essence, with plenty to spare. Besides imparting moisture, adhering to to the skin is a sheet mask’s main job. 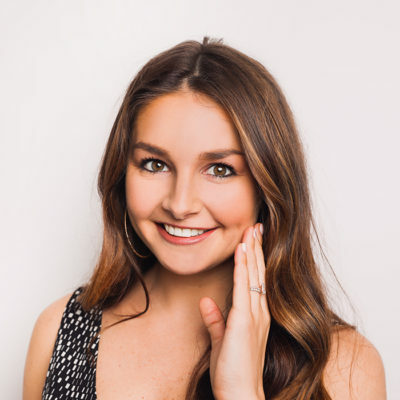 A foil mask will not effortlessly cling to your skin the way a hydrogel mask does, but it certainly gets the job done with the adhering power of your standard microfiber mask. Aside from preventing the dreaded mask dry out, foil masks differ from their hydrogel and microfiber cousins in a major way. Hydrogel masks are often noted for their cooling properties. We found that foil sheet masks do quite the opposite. Several minutes after applying the mask, a noticeable warming sensation began. 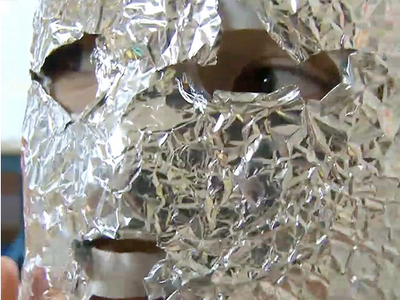 It turns out that the foil actually insulates your face, preventing the skin’s natural warmth from escaping. Korean women believe that the warm environment foil masks create allows the skin-benefiting ingredients to be absorbed more quickly and effectively into the skin. We’re always looking for new ways to keep our skin hydrated and healthy. While we won’t be tossing aside our hydrogel or microfiber sheet masks anytime soon, foil sheet masks have definitely earned a place in our hearts and our skincare rotations! + We love hearing from our readers! Have you ever tried a foil sheet mask? What are some of your favorites?